LUCI and the Configuring Light research group of the London School of Economics (LSE) have signed a Memorandum of Understanding to work together to move lighting up the social and political agenda as a central aspect of urban life and well-being. 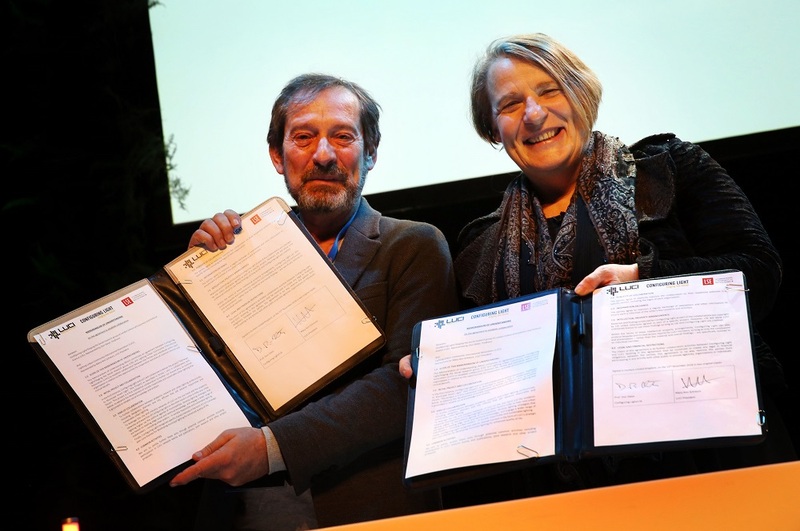 The MoU was signed by Don Slater, co-founder of Configuring Light and Associate Professor in Sociology at the LSE, and Mary-Ann Schreurs, President of LUCI and Vice Mayor of Eindhoven at the LUCI Annual General Meeting in Durham, UK, this November. The MoU will bring together the city and industry networks of LUCI along with the academic networks and expertise of Configuring Light/LSE. This will help develop lighting strategies that are based on leading edge social and technical knowledge and engage a wider range of stakeholders – including urban publics – in socially responsible and sustainable lighting.